Badge issuer ID, badge earner ID and badge issuing time is added during the badge issuing moment. Badge earner is identified through an email address. Description provides with the details of achievement: describes the context, specifies the achievement, refers to completed tasks, explains the assessment procedures. 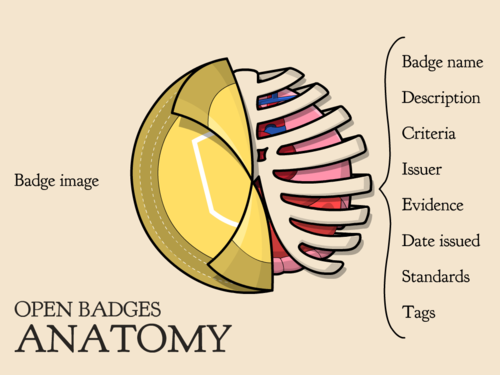 How to write a good badge description? Open digital badges can have other extensions, such as standard, endorsement, that will be added on Badgecraft platform in the future.